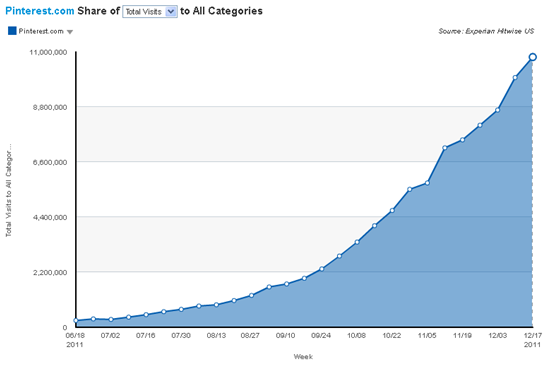 The Pinterest virtual collector website has skyrocketed in popularity over the past year. The site is doing so well, in fact, that it recently broke into Experian Hitwise’s Top 10 social networking and forums category, holding a number nine position which beat out Google Plus; Tumblr was no where to be found. 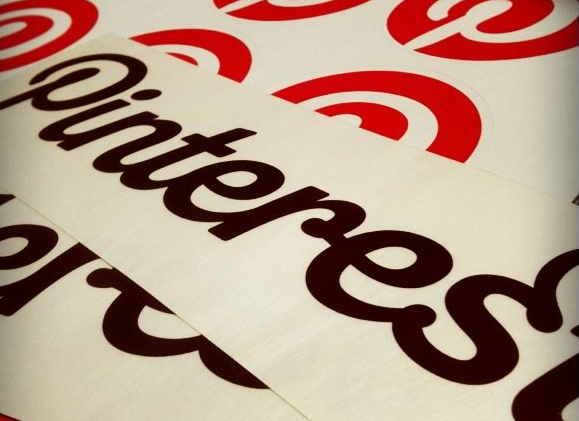 Pinterest was launched in March 2010 and over these 20 months it has built up a large base of followers, even with its invitation-only hurdle. Hitwise points out that in just the past six months the social bookmarking site has had a surge of visits, topping out at 11 million at the end of last week– which is almost 40 times the visits it had in June. Online pinboard sites seem to be the new social networking wave, and though Pinterest is the lead representative, we’ve previously pointed out a few noteworthy virtual collector alternatives. Pinterest basically allows you to “pin” images found while surfing the web onto your virtual pinboard and organize the images into different themes, which users can then share with others. Hitwise also points out that the latest traffic skews female with 58%, and is dominated by those between the ages of 25 and 44. Hobbies and Crafts enthusiasts are also enthusiastic about the site, which tends to have a lot of home decorating, crafts, fashion and food images. Geographically, internet hoarders seem to be mostly from California and Texas, but Pinterest gets a fair number of visits from states such as Tennessee, Oklahoma, Utah and Alabama. The virtual collector site has a ways to go in order to catch up with the top three social networking sites. Facebook still commands 63% of the visits share, with YouTube at 20.9%, Twitter at 1.49% compared to Pinterest at rank nine with .41%.